Editor’s Note: Srujana (picture on the side) was born in Tirupathi and had her schooling at Anantapur, in Andhra Pradesh. After her MA in Political Science from Hyderabad Central University, she completed her MPhil and PhD from Jawaharlal Nehru University (JNU), New Delhi. She teaches political science and sociology at the Community College of Allegheny County (CCAC) at North Campus, and lives in Wexford, PA. 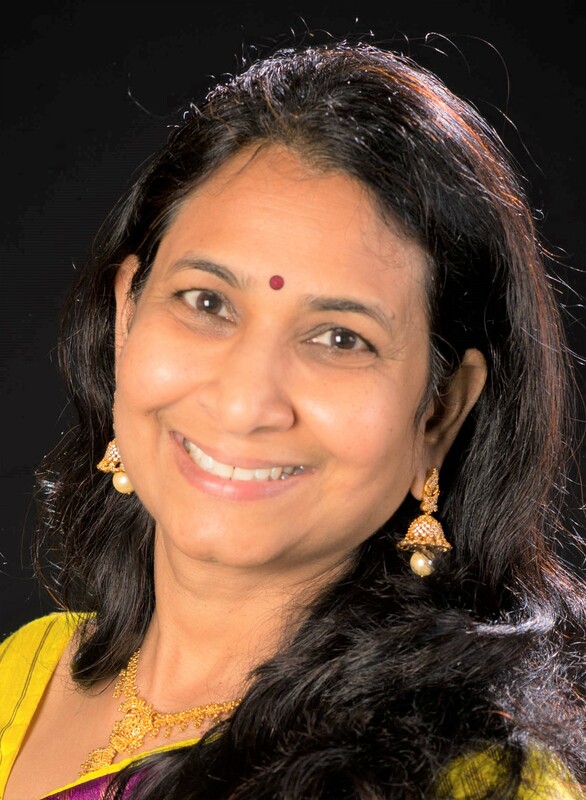 The founder of the dance school Natyakriya, Shobhitha Ravi (picture below), with fifteen of her students, presented the dance program, Sri Vidya Shakti, on October 6, 2018, at North Hills Middle School, celebrating ten years of teaching Bharatanatyam. The theme of the production Sri (wealth), Vidya (knowledge) and Shakti (strength) was in praise of Devi, the universal mother in Hinduism. The program coincided with the Navaratri festival in which Hindus celebrate Devi in the form of Lakshmi (Sri), Saraswati (Vidya) and Parvathi (Shakti). The program was divided into three sections, each focusing on one theme with the dancers in traditional bright costumes performing three items in each section. 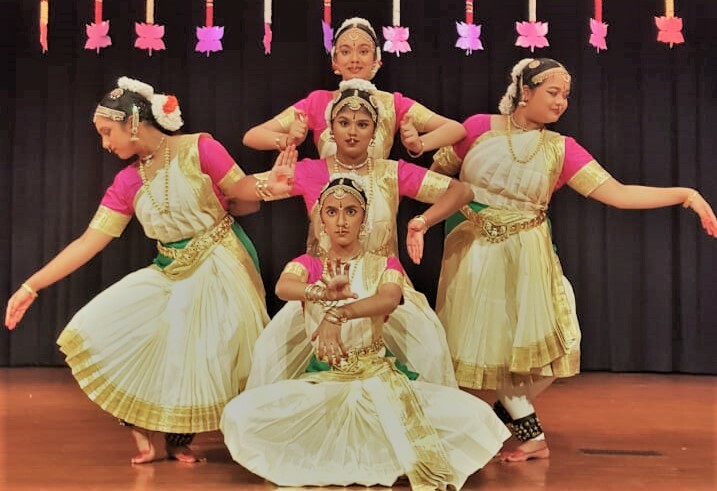 The young dancers were good with abhinaya, a coordinated combination of movements of the legs and footwork and hand gestures to rhythmic music and facial expressions, all to convey stories. Akshara Murali, Bhavana Kolla, Jothika Gorur, Nanditha Ganesan, and Malini Harinath. It was a ticketed event, with all the proceeds benefiting EKAM USA Foundation, a non-profitorganization committed to providing healthcare to needy babies and mothers in India to reduce the mortality of mothers & infants at child birth. L to R Top: Somya Thakur, Sherin Puthenpurayil, Bhavana Kolla, Mitali Belambe, Meghana Vemulapalli, Sruthy Miriyala, Malini Harinath, Sanjana Harish, Kavya Balakumar, Nanditha Ganesan, Akshara Murali, Jothika Gorur, Anagha Arunkumar. Bottom: Keerthana Samanthapudi, Harsha Mikkilineni, Inu Miriyala. 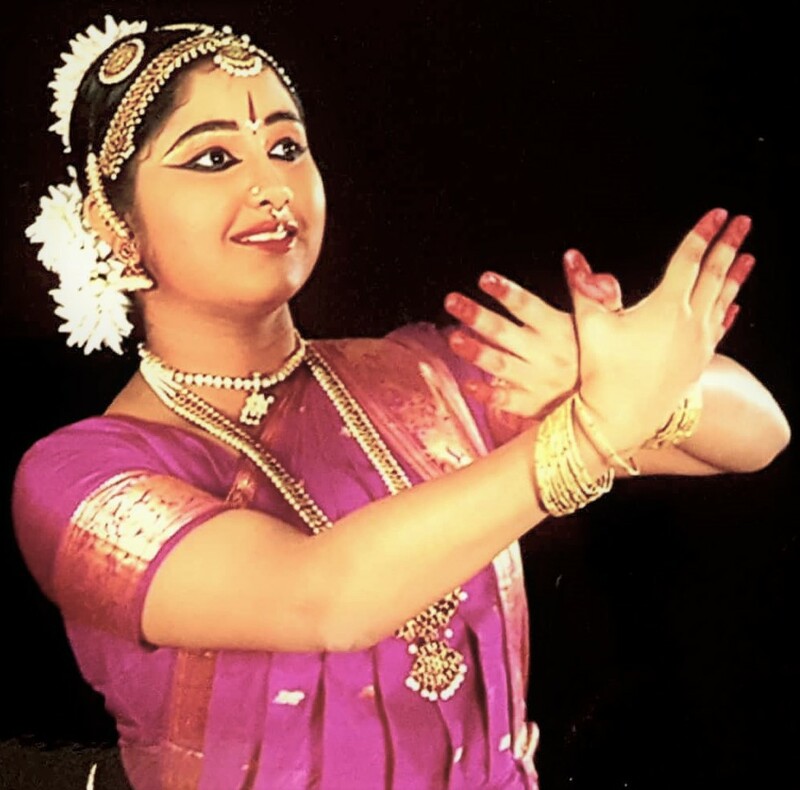 Natyakriya, founded in 2008, strives to preserve and spread Indian art and culture here. From a small base of eighteen students, the school now has over 100 students. Over the years, ten students have completed their arangetram under Shobhitha, a disciple of Natyakalavathi Jaya Mani, who trained Shobhitha in the Kancheepuram Ellappa Pillai tradition. This entry was posted on January 19, 2019, 1:25 pm and is filed under January 2019, Past issues. You can follow any responses to this entry through RSS 2.0. You can skip to the end and leave a response. Pinging is currently not allowed.